Cowboy Junkies are known for their unique mix of genres such as blues, country, rock, psychedelic, and jazz. This live album from their performance on June 16th 2014 at the Belly Up evokes the psychedelic, blues-inspired forays that the band is known for as well as “Misguided Angel” and “Sweet Jane” from the band’s landmark album “The Trinity Session”. For more than 25 years, Cowboy Junkies have remained true to their unique artistic vision and to the introspective, quiet intensity that is their musical signature. 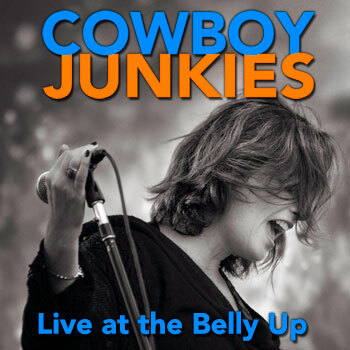 Click here for more information about Cowboy Junkies.